The ICC has kickstarted a probe against Pakistan wicketkeeper-batsman Umar Akmal, following up on his claims of having been offered money to skip games during the 2015 World Cup. Earlier this year, in an interview with Samaa TV, Akmal had confessed that he was offered money to leave deliveries during the event in Australia and New Zealand. “I had got an offer during the World Cup to leave alone two balls and they were willing to pay me $200,000 for that. 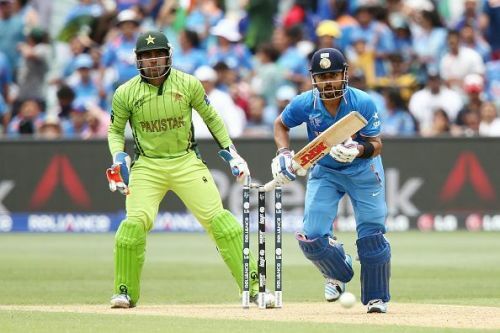 It was our first match against India in the 2015 World Cup," Akmal was quoted as saying. The head of the ICC's anti-corruption unit, Alex Marshall, announced that investigations against the 28-year-old. "Similar offers have been made in the past as well. In the matches with India, I’ve been told to make some excuse and opt out of the game for which I’d be paid but I have told those people that I am committed to Pakistan and to not approach me ever with such offers,", Akmal had also said. The younger brother of Kamran Akmal, Umar has been involved in controversies several times in his playing career. Most recently, during a first-class game, he was accused of using inappropriate language and egging his teammates to throw balls at the opposition batsmen. Akmal was withdrawn from the Pakistan squad a week before the 2017 Champions Trophy on fitness grounds and was replaced by Haris Sohail. He had joined the squad in England, but two failed fitness tests meant that he was handed a return ticket. It is still unclear whether Akmal reported the incident to the anti-corruption unit. According to the ICC anti-corruption code, all corrupt approaches have to be informed by the players, failing which there are liable to be punished for a minimum period of five years.